SAVE | LG Solar Panels Perth WA - NeON 2 & NeON R models. 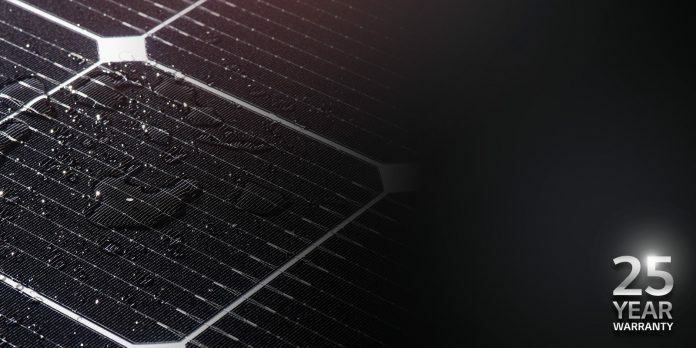 Doing any form of research into solar, it soon becomes obvious that the global mega corporation which is LG has developed an industry-leading range of solar products. With anything leading there usually is an exceedingly higher price tag to match. Not any more! More affordable than ever, the Save More LG Solar Panels Perth WA range featuring the InterSolar award-winning of 2016, NeON 2, exceeds expectation. 330W of high-yielding energy production guaranteed for 25-years. The black anodised frame is certain to compliment any aesthetically pleasing style requirement, while a white substrate maintains the cooler less resistive environment for the NeON 2 cells high-output production. Further complimenting the PSW LG Solar Panels Perth WA Deal of the Week is your choice of Europe’s and the world’s greatest inverter options, SMA & Fronius. Two names synonymous in quality and reliability. Which should you choose? Be guided by the elements which are important to you. SMA Germany and the world’s longest serving inverter manufacturer are once again taking the world by storm with a new level of innovation. Fronius is the popular inverter choice of many with a rich European heritage of producing reliable DC energy products. The good news. Either combination in the PSW LG Solar Panels Perth WA rane is going to ensure the reliable return on investment you require during your solar journey (both guaranteed for 10-years). There are a few differences, however, just don’t take too long deciding. A day longer in deliberation is another day without energy savings. LG NeON 2 Solar Panels and SMA or Fronius Inverter. Industry Leading LG NeON 2 solar panels. European SMA or Fronius solar inverter technology. I have seen many combinations of the above Save More LG Solar Panels Perth WA packages paired with either SMA or Fronius inverter options and the results are mind blowing. More so to the point that no matter the inverter selection the LG NeON 2 solar panel range consistently outperforms like wattage solar arrays of alternative makes. At the end of the day this is a testament to superior innovation which only few can match. Safeguarding such an investment with an SMA or Fronius inverter option ensures the maximum energy yields you’ve been searching for. Your five star solar satisfaction with the PSW Save More LG Panels Perth WA range awaits. I can’t wait to see your inquiry relating to this beautiful product combination.